Interesting thoughts about your thoughts. According to trendwatching.com, 2012 is the year when we’ll all crave a little solitude. Switching off from life’s littanys, loves and ‘likes’ is just what we’re all secretly craving, they say. The US average time spent daily online of 62 minutes vs a stolen snippet of morning meditation just doesn’t quite redress the imbalance. Last year, Swedish telecoms provider Telia launched a free download that enabled customers to disable the internet for a set period of time at home and also set up internet-free zones in several public locations across Sweden. Why? We’re too contactable. And too addicted. Internet addiction will be listed in the Psychology Disorder Almanac, DSM V, as a listed psychological problem as of next year. But that means most people I know are sick sick sick. We’re not at fault for communicating constantly all day, everyday. In fact the genius of the internet and social media is that it’s flattering the one thing humans love doing most; chatting, gossiping, storytelling and beating our own chests. It’s actually highly caveman behaviour. Just with more hashtags. And keys. But now the internet is having its way with us. From young net addicts performing Fuicide to the ‘Kony 2012‘ producer losing his marbles from ‘reactive psychosis’ due to net-addiction, our brains are screaming out for more time off. Even a holiday isn’t a holiday anymore unless your phone is switched off too. So who’s going to lead/jump onto this ‘disconnection’ idea? After all, a break means you’ll have more energy to post with more punch afterwards, right? So, on the count of three, join me and turn close your computer and go and see the real world. This Olympic Games have shown some serious grit from British athletes. All while beaming, shrugging their shoulders, and seeming generally 150% ok with that. Really?? After HOURS and HOURS and HOURS of tedious, lonely, painful, stressful, sometimes boring, sober, early, late, long, hours of training… that’s your gut reaction?! That’s medal-worthy if you ask me. How about some Andy Murray tears?? We’d understand! Really, we would. You’ve just not entered the history books in front of your home crowd. We’d understand a quivering lower lip. There must be some gun sports psychologists led by Dr Mark Bawden, who is also the head sports psychologist at the EIS. Oop, just seen on the Beebs – they fudged the starter gun in the Women’s 100m Breaststroke Final so the girls had to wait for techies to fix it. Just another hurdle to jump! Does I.Q. matter when looking at the super-successful in our world? The recent New York Times article on natural skill, or I.Q., and practice suggests that I.Q. is the determinate factor in success, not practice. i.e. it doesn’t matter how long you keep trying, you’re more unlikely to get there unless you have a high I.Q. to begin with. The initial evidence from Florida State University found that excellent violin players, by age 20, had slogged at it for over 10,000 hours, compared with just under 8,000 hours for the “good” players and not even 5,000 hours for the least skilled. However, the working memory capacity (that is, the capacity of your brain to work on various items simultaneously – think of it as a computer “desktop”), which is a key part of intellectual ability, made a statistically significant contribution, i.e. if you took two pianists with the same amount of practice, but different levels of working memory capacity, it’s likely that the one higher with working memory capacity would have performed considerably better. Michigan State University researchers recently found that compared with participants in the 99.1 percentile for intellectual ability at age 12, those who were in the 99.9 percentile (the profoundly gifted) were between three and five times more likely to go on to earn a doctorate, secure a patent, publish an article in a scientific journal or publish a literary work. 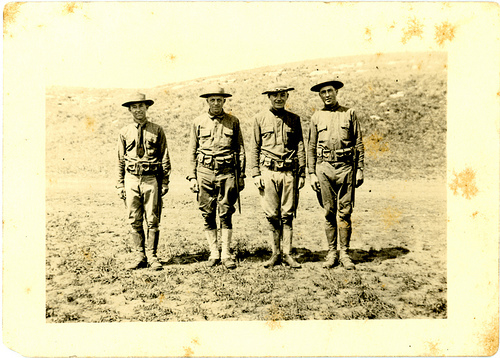 World War 1 Soldiers. This picture is available under the Creative Commons License. North-west France is peaceful, green, cheese producing countryside, with cave-curated sausages, duck confit, locally-produced cidre, and wines. On July 1, 1916 it became the bloodbath of the WW1 Allied attack which saw 1.2 million Allied lives lost over a nasty five year battle with flame-throwing tanks, bayonets, chlorine gas, mines, bombs, and machine guns firing 4000 rounds per minute, each containing 2000 shrapnel balls. On June 6, 1944 it became the landing ground for Allied forces for D-Day, which again saw thousands murdered in the name of freedom and democracy. Today, the wide expanses of quiet countryside belie this horror and the thousands buried there. The quiet is eery and the expanses still too empty even more than 90 years on. Still each year, the local potato farmers collect 500,0oo kilograms of shrapnel and war remnants from their fields. It is hard to imagine the psyche of murder that sent young men up over the trenches in their thousands. It’s harder still to imagine the psyche of men behind machine guns who had deadly aim. In 1914, the values of the Allied countries that sent their young to war in 1914 prided themselves on the “gentlemanly” values of chivalry, and the outbreak of war allowed the best proof of this by protecting woman, king and country. While comforting to a point, come the day of duty and the barrage of gunfire, the mental leap from civilian to soldier must have been great – too great, in the cases of many post-traumatic stress sufferers. The propaganda of the Allied countries helped to get in the right mindset for battle; brochures and posters screamed the evil of the Hun. Leaflets air-dropped into German lines simply said: “you’re surrounded – give up now!” The effects of these on the attitude and bravery to do what was necessary and “right” must have helped. But it’s hard to believe that it made it any easier to point your bayonet directly at a fellow 21-year-old and pull the trigger. Whether fighting to defend, or invade, the realities of wartime remain the same: you are a soldier and you will need to kill. Or be killed. Sensory nerve cells pass the perception of a threat, or stress, from the environment to the hypothalamus in the brain. The hypothalamus transmits a signal to the pituitary gland resulting in the production of cortisol. Cortisol is released into the blood stream, resulting in an increase in blood pressure, increase in blood sugar levels, and suppression of the immune system. Simultaneously, the hypothalamus transmits a nerve signal down the spinal cord to the adrenal glands which receive nerve and chemical signals initiated by cells in the hypothalamus. So that’s how the your brain helps you override the fear of attacking and being attacked – and survive! 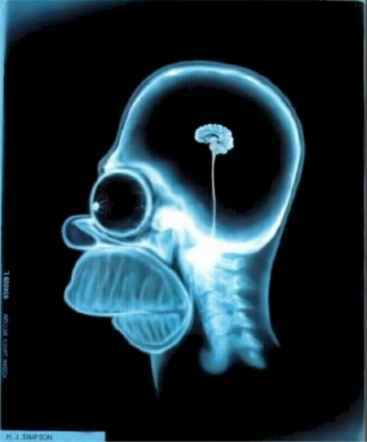 Think Rugby is all braun, not-so-much brain? Think again. The current clash of countries playing in the Rugby World Cup 2011 has caused much upset: the Aussies lost to the Irish, Wales gave South Africa a run for their money and Argentina put England on their guard. The pressure on these young athletes is unimaginable for us, but it is imperative that these players understand stress management to become professionals in their sport. If their brains don’t feel the healthy stress, then effectively their bodies aren’t clocking-in for work: on-field butterflies and adrenaline-fueled “dead legs” need to be channelled into a win. To regard them as positives separates them from an amateur player. However, off-field, in the heat of the multi-million-dollar, multi-million-eyeball contests, it’s the chat over the water-coolers which can cause the biggest psych-outs. National sports media can be known to go to town on visiting countries’ teams to create heat, tension and general collusion amongst the home team, with the ill-effects of that of course intending to lie somehere on the neigbouring team’s shoulders. Criticism, nit-picking, and comparisons all create a heavy burden of expectation for players, raising the fair question: are the countries, and the fans in those countries, responsible for the players’ attitudes, or are the players themselves responsible only? For football fans, the benefit of the game lies in the experience of watching your team, says Welsh commentator Derrick Brockway. For him and his national team it’s the values of rugby which are important for the brain – of comradery and shared emotions, and watching the game together with his friends that makes the game what it is. Thanks to Chris Corcoran on BBC Wales4 for sparking these thoughts. Listen to his full podcast at www.bbc.co.uk/programmes/b01425tv. In our “Sleep Series” today we look at the serious health effects of a lack of sleep and insomnia. A serious lack of sleep can result in a direct effect on clinical depression, obesity, stroke, diabetes and cancer. There is very compelling data showing that insomnia, a year of off and on poor sleep is the single, strongest predictive fact in clinical depression. Many of us of course, were taught in graduate school and after that insomnia was a classic symptom of depression and that may be, but the data today is raising a question about whether or not depression is a classic symptom of insomnia, as virtually all depressed people have some sort of sleep disorder. So, it impacts on mood of course. We know that there is a profound connection between chronic sleep loss and our physical health. Short sleepers, people who sleep an average of five or six hours or less per night, have a 50% increased risk for viral infection. This is probably true for other kinds of infection too because short sleeping has a profound impact on our immune function. 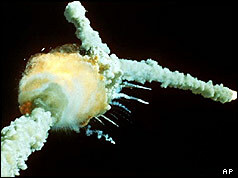 The Challenger explosion in 1986 was thought to be caused by human error and sleep deprivation. Those “on the nod” are also now thought to be responsible for the Exxon Valdez disaster, the Chernobyl disaster, Three Mile Island meltdown, The Challenger explosion, and the Bhopal Chemical disaster in India. So what more proof do we need that a lack of sleep makes your brain grind more slowly? …What I’ve noticed is there is a direct correlation between the amount of sleep a person gets or the insufficient sleep I should say and their tendency to engage in dysfunctional thinking. And I think most of us, you don’t have to be a therapist to know this, that sleep loss affects your judgment; it affects your perception, even just a little bit of sleep loss. Sleep loss contributes very significantly to a decrease in performance. We see serious drops in the quality of work and the quantity of work. And we see a serious rise in accidents. There is some data suggesting that there may be more people having car accidents, motor vehicle accidents associated with driving drowsy than with driving drunk. But we don’t have complete data on this but we know that there are thousands and thousands of accidents caused every year. From a larger sort of disaster perspective, there is strong data suggesting that the Exxon Valdez disaster, the Chernobyl disaster, Three Mile Island meltdown, The Challenger explosion, the Bhopal Chemical disaster in India, and many, many other large scale disasters like this were directly linked to sleepiness on the part of people involved. So that’s the tip of the iceberg.